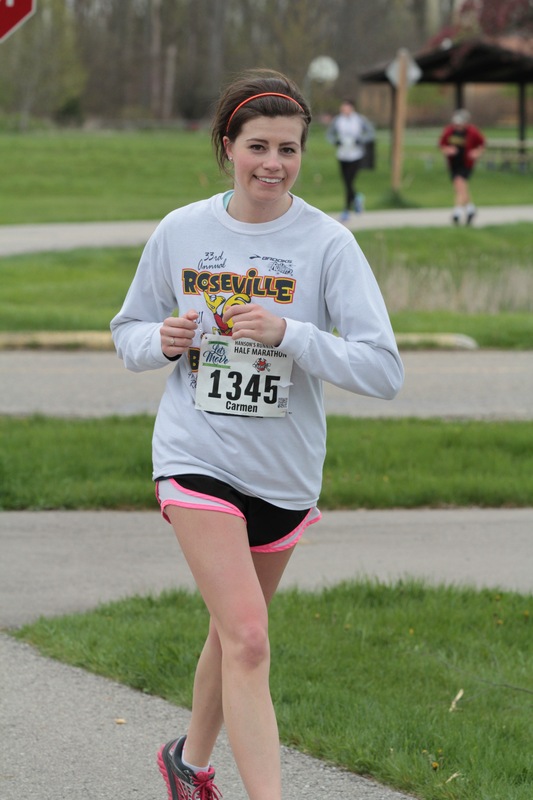 Four years ago (2013) I ran my first half marathon at the Let’s Move Festival of Races. I was definitely under-trained since I was wrapping up my sophomore year of college and spent a semester struggling through organic chemistry II. My dear grandma Helen suffered in that month of April, right after celebrating her 90th birthday. She passed away during my finals week and my family withheld that from me until after my last exam was over (organic chem, figures). But I still was registered for that half marathon. And I ran it in about two hours and dedicated it to her. I ran the race the following year but skipped the next year since it fell on the day of my college graduation (2015). I also skipped running it in 2016- in March I had gotten bronchitis and who’d have thought but it actually made it hard to breathe?! So running was delayed a bit last year. Returning this year I felt as though there was a drop in participants. I have no statistics but it may just feel like that because I’ve become so accustomed to running races with hundreds or thousands of fellow runners. 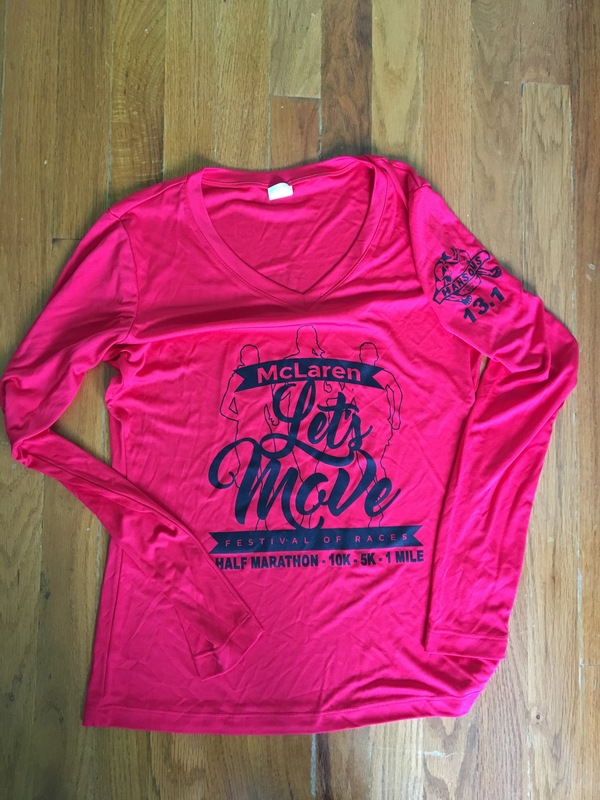 Or maybe it’s because the race series offers so many different options for all levels of walkers and runners: one mile, 5k, 10k, and a half marathon. So maybe the field was more spread out. I think one year they offered a full marathon. This year there were over two hundred participants in the half marathon. However, at no point was I running alone-alone. There was always someone nearby. And this year was a “A New Direction.” The race was ran in reverse. This seemed to be a welcomed change by many repeat runners. Downtown Mount Clemens offers free parking on weekends so I didn’t have to worry about that. And there’s plenty of close parking lots to choose from. The many police officers and sheriffs did a fantastic job at keeping us runners and walkers safe from vehicle traffic, since most of the course shared a roadway. Thank you! The starting temperature was about 42 degrees! I cannot get a break with these cold races! The month of May better not let me down. The rain held off but it was windier than expected. I used the hourly forecast and excepted the temperature to be in the low 50s by the time I finished so I choose shorts, a tshirt, and a long sleeve. But when I arrived I decided to double layer with the long sleeve shirt, just in case it turned out to be much cooler by the lake. PS it only warmed up to 47 degrees at the end of the race. 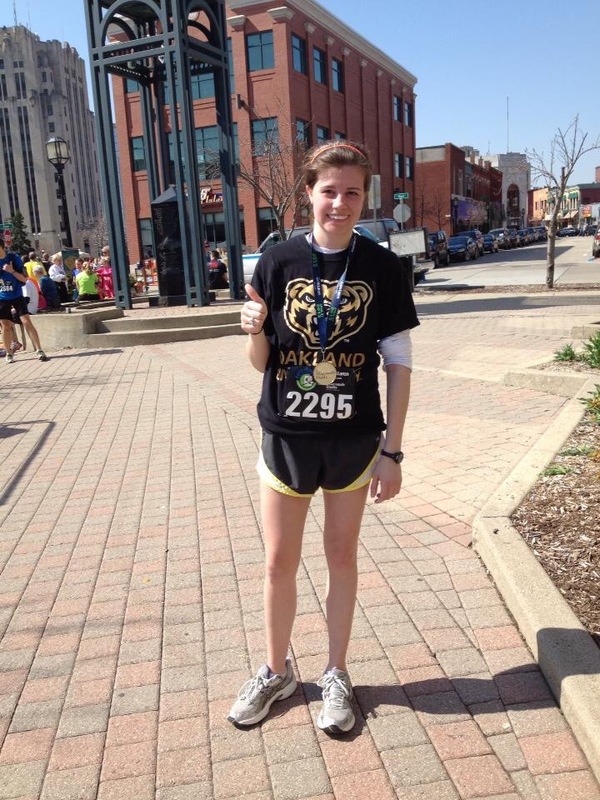 By the second mile I had warmed up enough that I no longer regretted not wearing leggings. For the beginning couple of miles I ran alongside a mother. I think she welcomed the company, as did I, since her daughter would normally be running with her but was recovering from injury. Then the route makes its way to Jefferson along the waterfront and into Metro Beach (Lake St. Clair Metropark)- around the perimeter of the parking lot. You’d never guess the parking lot was that huge. 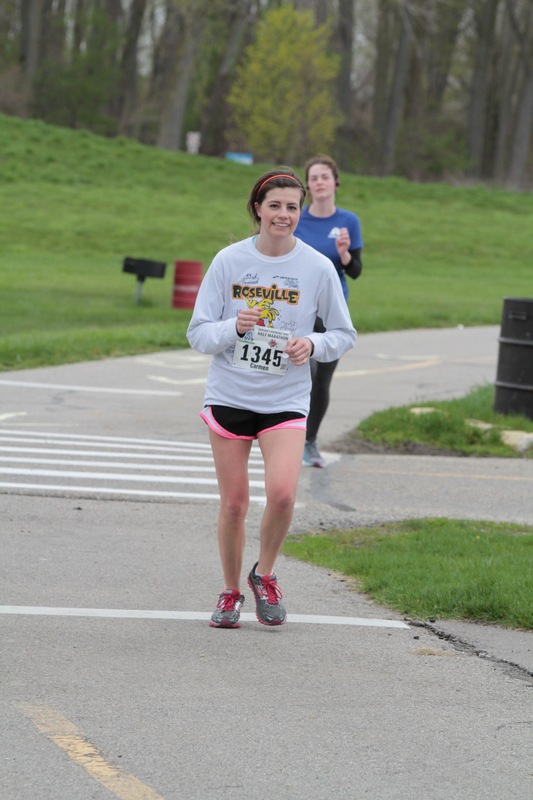 Shout out to the photographer and the free race photos around mile 7! 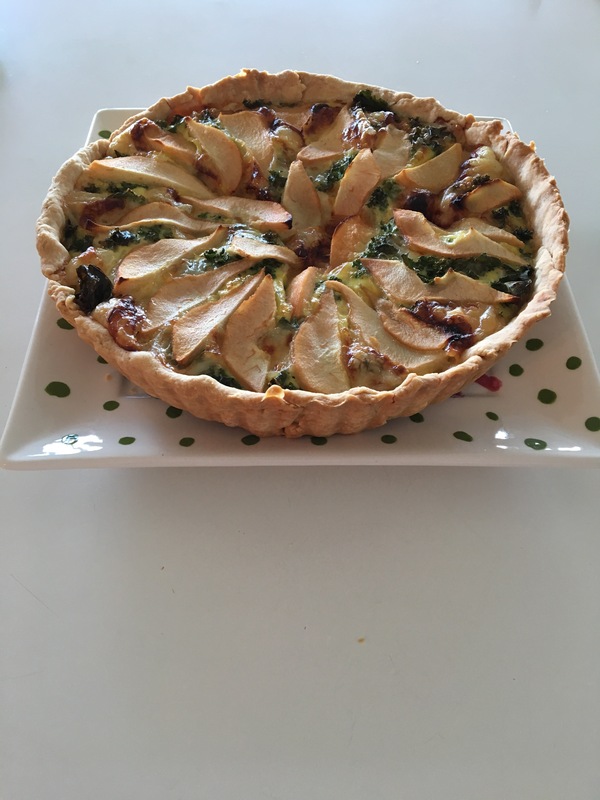 I had leftover quiche (that I made earlier in the week), cheerios, and babybel cheese for breakfast. I felt great during the run that I didn’t need to refuel with any gels, but I brought one in my shorts’ pocket just in case. Then exiting the park I ran/talked with another lady after she spit and realized I was so close behind her. She missed hitting me, thank goodness. Then a little bit farther around mile 9 we were running right into the wind for a long stretch. Again, I started to talking to another lady for a couple miles. I was saying I was looking forward to a nice hot bath and Tim Horton’s and we got to talking. Then we parted once we turned and the wind lessened and I ran the last two and a half miles alone again. Even running the course in reverse we couldn’t escape the slightly up-hill finish over a bridge back into downtown Mount Clemens. 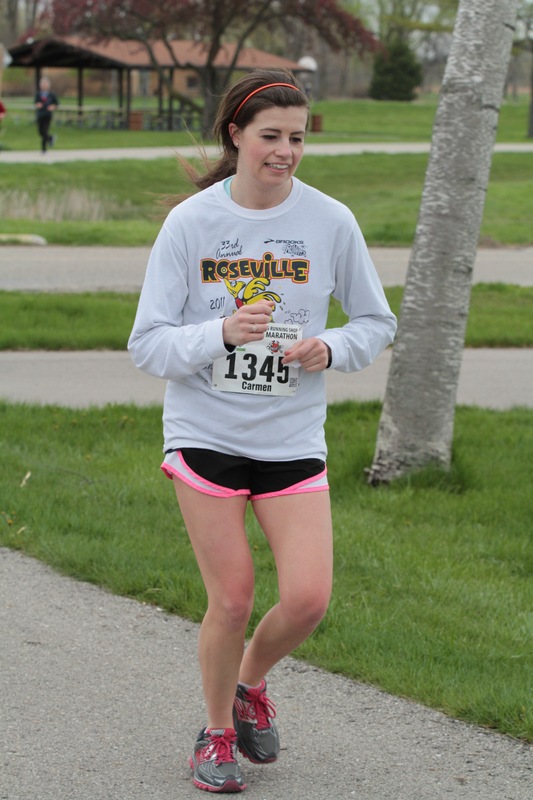 Remember how unsure I was a week ago about running in this race? Well, I’m glad I did. I maintained a comfortable and relaxed 9:40pace. 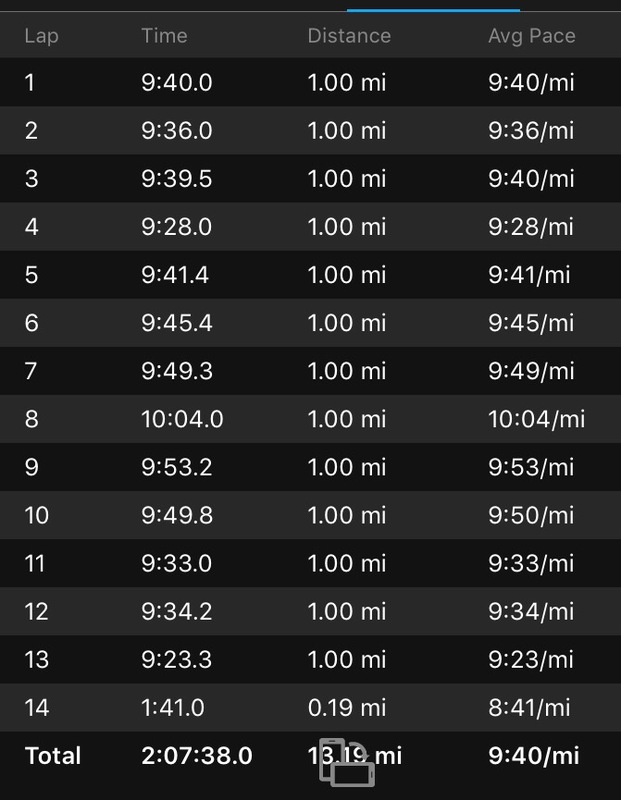 My splits were consistent (miles 8, 9, & 10 were there toughest pushing through the wind, but running with that lady likely helped us both). I kept it easy but only tried to run harder (negative splits!) the last 5k-ish when we turned out of the wind. Overall, I felt great and twinge-free throughout. Now, today I’m fighting some sore spots. (But that hot Epsom salt bath I had…) I’m super surprised but I took 3rd in my age group- I guess I was expecting more runners. I finished in 2:07:35. Not my best but also not my worst. Still blessed and thankful I ran my 10th half marathon. But why weren’t there more participants? 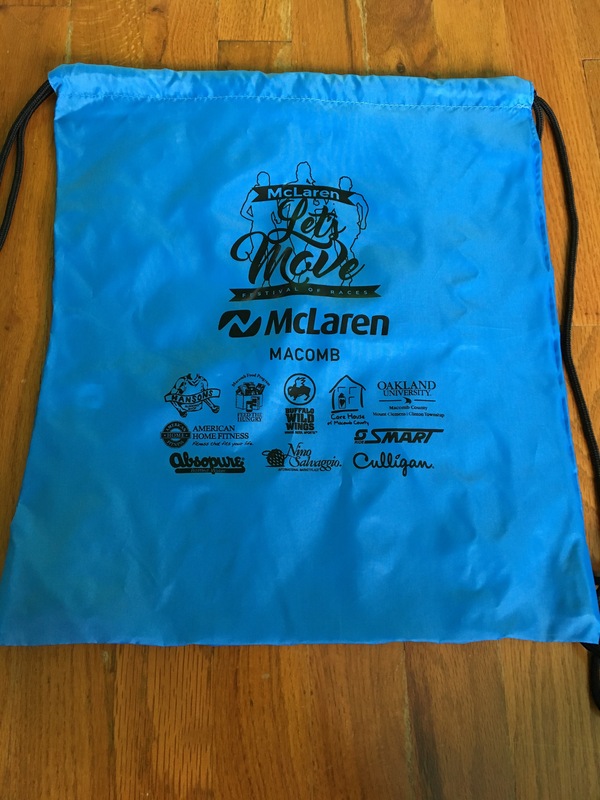 The Macomb Health and Fitness Foundation put on a fantastic race series as part of the national Let’s Move campaign to fight childhood obesity that started years ago. Pretty sure they offer a ‘Couch to 5k plan’, too. Plenty of days for packet pickup. A nifty drawstring bag (better than plastic). Free parking. The race started on time. Intersections were covered with volunteers and law enforcement for our safety. Typical post race snacks and even Buffalo Wild Wings food/beer ticket to eat afterwards! A medal and a t-shirt! And it’s the perfect time of year- right at the end of spring- a great time-trial of sorts for summer training. Would I run it again? Yes, yes I would. Nice job! I’m glad to hear the “twinges” didn’t hold you back and that you felt good. 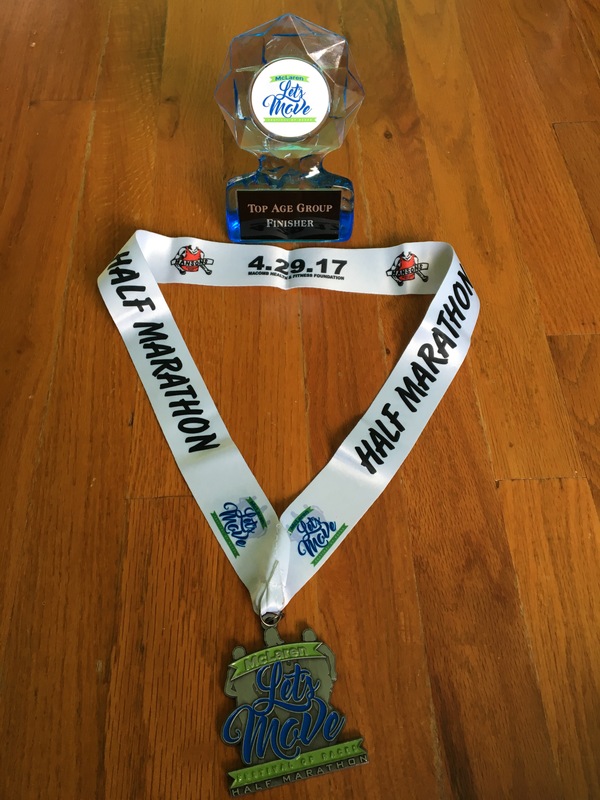 I’ve never done this race and always thought there were a lot more people running the half. Maybe one of these years I’ll finally try it. I wish I had stats. I tried to look up previous years’ results but my investigative skills didn’t hold out! I was so surprised how few people there seemed. I hope they just went to shorter distances.